Rotary design is suitable for 8586, 858D, 898D,909D+ unsoldering work bench. Ultra long power cord allows for flexible and comfortable use. 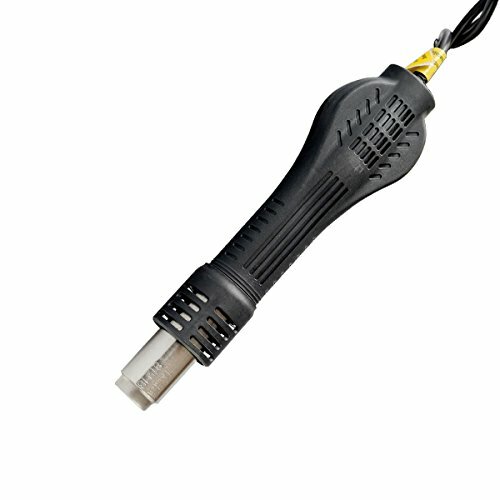 The handle comprises heating core, magnetic switch, temperature sensor and power cord. Made with high-grade material and fine workmanship, it is solid, reliable and durable.